STOCKHOLM, Sep 4 2015 (IPS) - Globally, more than 748 million people do not have access to safe drinking water. That is more than double the population of the entire United States. United Nations data suggests that 1.8 billion people – that is 500 million more than the population of China – drink water that is faecally contaminated. Every year, over two million people die due to a lack of clean water. According to the latest World Water Development Report, demand for water could rise by 55 percent by 2050, an increase driven primarily by the manufacturing sector. As the international community shifts its poverty eradication framework from the Millennium Development Goals (MDGs) to its highly ambitious sustainable development agenda, the issue of water has never been more critical. Between the din of policymakers trapped in endless high-level debates and scores of citizens feeling the pinch of drought, thirst and water transmitted illness – some sources say that 5,000 children die every day as a result of water-borne disease – a few voices are making themselves heard, lending clarity to one of the world’s most complex and urgent problems. 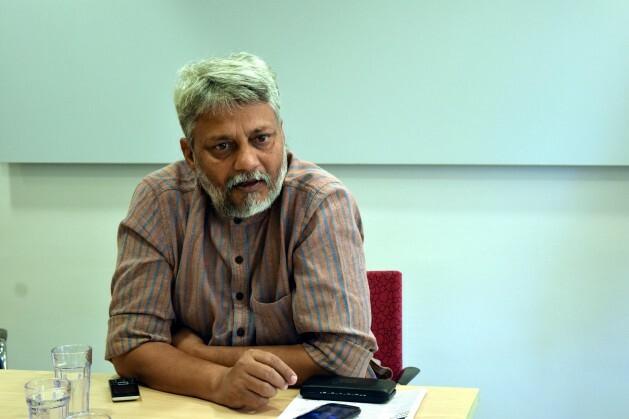 Among them is Rajendra Singh, the winner of this year’s prestigious Stockholm Water Prize, sometimes referred to as “the Nobel Prize for water”, for his 35-year-long commitment to water management and conservation. Singh himself has been affectionately nicknamed the ‘Water Man of India’ and is credited with reviving an ancient rainwater harvesting technique that has breathed new life into several rivers and returned clean, running water to over 1,200 villages in his home state of Rajasthan, located in the north-east of the country. With its massive rivers and their countless tributaries making up one of the most complex freshwater systems in the world, India provides an excellent case study in water management. Over 150 million people in this country of 1.2 billion currently live without access to fresh water, compounding widespread poverty and raising serious questions about energy, environmental degradation and sustainable development. On the sidelines of the recently concluded World Water Week 2015, IPS correspondent Stella Paul sat down with the renowned Indian water activist to hear his views on the future of this scarce and incredibly precious resource. Q: You always say, “We do not need new policies. We need water action”. What do you really mean by that? A: Let me speak of India. In India, there is no dearth of policies and acts; there are many [laws] regarding water conservation, water management and water use. But these policies and acts are not executed properly, which is why there is no concrete action. Now we need to start clear, community-driven, decentralized work on water. And the role of the government in [this type of] water management is very important: providing adequate resources to communities and creating an environment that is conducive to taking action. There should be joint action between the government and the community for water management. We need four things for that: water literacy, water conservation, water management and efficient use of water. Q: You say the government should create the environment and provide the resources for water action. It is often thought that ‘resources’ means ‘money’, which comes from the private sector. How do you respond to that? A: Change never comes from the private sector’s money. For real change, we need the government and the community. What we need is not corporatization, but communitization of democracy. If [the] corporate [sector] does everything, then, where is the democracy? In Rajasthan, we have many corporations, but we also have a water parliament. We maintained the community’s rights here. We maintained a democratic environment. People rose up here. Wherever people rose for their rights, those robbing society had to run away. Corporations are here and they are here to stay – but it is important to see that they do not loot the people and that they do not pollute the system. Q: We are entering the era of the Sustainable Development Goals (SDGs). In regards to water, what must the government do differently, compared to what it did during the MDGs? A: Life, livelihood and dignity – all of these three are linked to water. In the SDG era, we have to give the highest priority to water. We have to put everything aside for a while and just focus on water. We shouldn’t get tangled [up in] projects, indicators and the LFAs (Logical Framework Approach), but stay focused on actual work. Today there is massive encroachment of water bodies. To prevent this encroachment, we must conduct identification, demarcation and notification of the water bodies. In many cases, due to erosion, there is a lot of silt in the water and since there is no clear title of the water body, the real estate lobby encroaches upon it. Encroachment on the river is a problem that is found across India, Pakistan, Nepal, Bangladesh and other regions as well. Poverty in the [Asian] region is a result of a water crisis, because of disrupting people’s water rights. If we end this, we can make the entire region water adequate. For instance, the  National Rural Employment Guarantee Act (NREGA) was originally created to revive and reshape the country’s water system. The then Minister of Agriculture in India, Raghunath Singh, came to us, saw my work and decided to design a programme through which action can be taken in regards to water. The same should be done again. NREGA should be mandated to focus only on water. Q: You were on the board of Mission Clean Ganga [the third-largest river in India]. Can the river be ever truly revived? A: It’s difficult but not impossible. But the government is only engaging with engineers, technicians etc. The government has not engaged with the sons and daughters of the Ganga – the people. If the government truly involves people in the Clean Ganga Mission, it can take a maximum of 10 years to revive the river. In fact, any of the country’s dead rivers – the Musi River, the Mithi River, etc – can be revived in 10-15 years. What we need is the political will of the government and the participation of common people. I am a seed of hope. I never lose hope. I restore what has been damaged – this is the philosophy of my life.